The monthly club time trial is part of Sedgefield parkrun 5k. 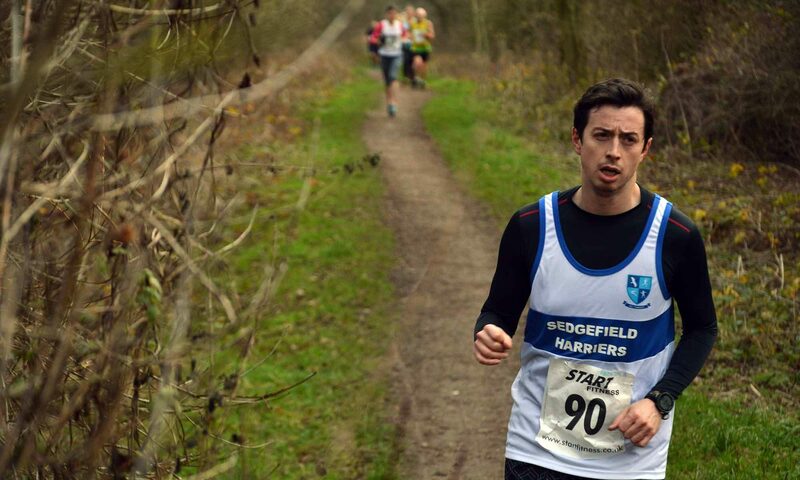 The times of Sedgefield Harriers runners will be extracted from the parkrun results on the first Saturday of each month and published separately on the web site. Prizes will be awarded at the annual dinner in November. • Most improved female and male. • Fastest female and male. 1st Saturday of each month January – November inclusive. • The baseline time against which ‘most improved’ will be judged, will be the best Sedgefield Parkrun time from 2018. This replaces the previous year’s first-half-second-half comparison formula/rule. For any runner without a 2018 Sedgefield Parkrun time, the best SP 2017 time will be used. For any runner without a SP 2017 time too, the first-half-second-half comparison rule will be used in 2019. • ‘Most improved’ will be calculated using percentage improvement, as per previous year. • 1st Saturday of each month, January to November inclusive. • Club vest / T shirt should be worn. • To be eligible, a runner must declare before the run that s/he is ‘racing’ – i.e. intending to run the fastest that s/he can. The term ‘race’ does not refer to ability – everyone can take part but they must run to the best of their ability. • Runners declare they are unencumbered – no dog assistance / buggy resistance / acute injury / child slowing down or pulling along etc. This system is based on the honesty of all Harriers and is primarily for safety reasons. • Declare by printing name on clipboard available on the benches where the run brief takes place. Clipboard to be available from 8.45am until start of run brief. • To be eligible for any trophy you must ‘race’ in a minimum of 4 parkruns. • The time trial will only be recognised at Sedgefield Parkrun. Times will not be taken from other parkruns.